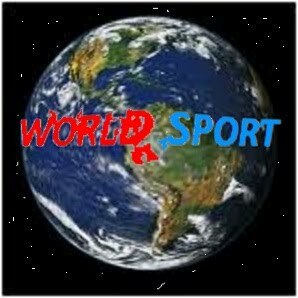 Here at world sport we love sport.So much in fact we decided to start this blog on every sport we could think of, So you our loyal readers can have all the info you need about sport. David Robert Joseph Beckham, OBE (born 2 May 1975) is an English footballer who currently plays in midfield for Los Angeles Galaxy in Major League Soccer, having previously played for Manchester United, Real Madrid, and Milan, as well as the England national team, for whom he holds the all-time appearance record for an outfield player. Beckham's career began when he signed a professional contract with Manchester United, making his first-team debut in 1992 aged 17. During his time there, United won the Premier League title six times, the FA Cup twice, and the UEFA Champions League in 1999. He left Manchester United to sign for Real Madrid in 2003, where he remained for four seasons, clinching the La Liga championship in his final season with the club. In January 2007, it was announced that Beckham would leave Real Madrid for the Major League Soccer club Los Angeles Galaxy, signing a five-year contract with them on 1 July 2007. While a Galaxy player, he has also spent two loan spells in Italy with Milan in 2009 and 2010. In international football, Beckham made his England debut on 1 September 1996 aged 21. He was made captain from 15 November 2000 until the 2006 FIFA World Cup finals, during which he played 58 times. He earned a much-publicised hundredth cap against France on 26 March 2008. He became the all-time outfield player appearance record holder on 28 March 2009 when he surpassed Bobby Moore's total of 108 caps. With 115 career appearances to date he has stated that does not intend to retire from international football, having missed the 2010 World Cup through injury and not featuring in England manager Fabio Capello's post-World Cup plans. Beckham has twice been runner-up for FIFA World Player of the Year and in 2004 was the world's highest-paid footballer when taking into account salary and advertising deals. Beckham was the first British footballer to play 100 Champions League matches. He was Google's most searched of all sports topics in both 2003 and 2004. With such global recognition he has become an elite advertising brand and a top fashion icon. When joining the MLS in 2007 he was given the highest player salary in the league's history, with his playing contract with the Galaxy over the next three years being worth $6.5m per year. Beckham is married to former Spice Girl Victoria Beckham. The couple have three sons and currently reside in Beverly Hills, California. Awesome Inc. theme. Theme images by ianmcdonnell. Powered by Blogger.